The Kingdom of Swaziland is intensifying preparations for the annual regional summit where southern African countries will review progress towards deepening integration and promoting socio-economic development. The 36th Summit of Heads of State and Government of the Southern African Development Community (SADC) is scheduled for Mbabane, Swaziland in August. His Majesty King Mswati III of Swaziland, currently the deputy chairperson of SADC, will assume leadership of the regional organization from President Seretse Khama Ian Khama of Botswana at the Summit. King Mswati III said the country is ready to host this important meeting that gives shape and focus to the regional integration agenda of southern Africa. 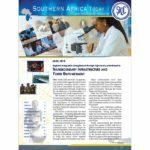 The longstanding vision of SADC is a united, prosperous and integrated region. 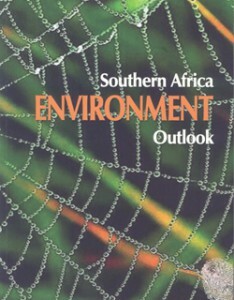 Significant progress has been made to achieve these goals, including the attainment of the SADC Free Trade Area (FTA) in 2008, which allows consumers in the region to get products at lower prices due to increased production, while producers benefit from trade in goods originating within the region. With regard to peace and security, SADC has succeeded in consolidating regional stability through various measures, including mediation in conflicts in Lesotho and Madagascar. Swaziland is yet to set the theme for the 2016 Summit. The previous two summits have focused on the topical issue of industrialization. According to the Swazi Finance Minister Martin Dlamini, a total of E50 million (about US$3.5 million) has been set aside to ensure that the 2016 SADC Summit is a success. The country has set up a SADC Summit Resource Mobilization Team to coordinate some of the activities including an International Trade Fair as well as the annual Umhlanga ceremony, commonly known as the Reed Dance. The SADC Secretariat launched its preparations for the 36th SADC Summit in Swaziland in September last year. As part of the preparations, SADC Executive Secretary Dr. Stergomena Lawrence Tax paid courtesy calls on King Mswati III as well as to Prime Minister Sibusiso Barnabas Dlamini. 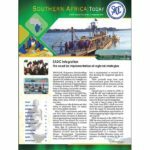 Dr. Tax urged the media to promote and publicize SADC by informing the citizens of the various benefits of belonging to a shared community in southern Africa. Benefits of belonging to a shared SADC include the sharing of surplus energy by countries to meet local demand. Another benefit is the elimination trade barriers to promote the smooth movement of goods and services across the region. Prior to the actual Heads of State and Government Summit set for August there will be meetings of senior officials, followed by the Council of Ministers. According to the last SADC Council of Ministers meeting held in late March, the summit is expected to deliberate on a wide range of issues, including implementation of the region’s operational plans. 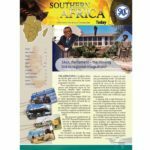 Southern African News Features offers a reliable source of regional information and analysis on the Southern African Development Community, and is provided as a service to the SADC region. This article may be reproduced with credit to the author and publisher.